As you might already know, I’ve committed to cooking my way through Gwyneth Paltrow’s newest cookbook It’s All Good: Delicious, Easy Recipes That Will Make You Look Good and Feel Great. This, by the way, is a huge statement. These recipes will make me LOOK GOOD? AND FEEL GREAT!? I feel like I should take before and after photos or something. We last made Vegetable Potstickers that were a huge hit. We ate those up very quickly. To summarize the experience: they weren’t super difficult to make (although they weren’t easy either) but were very messy. 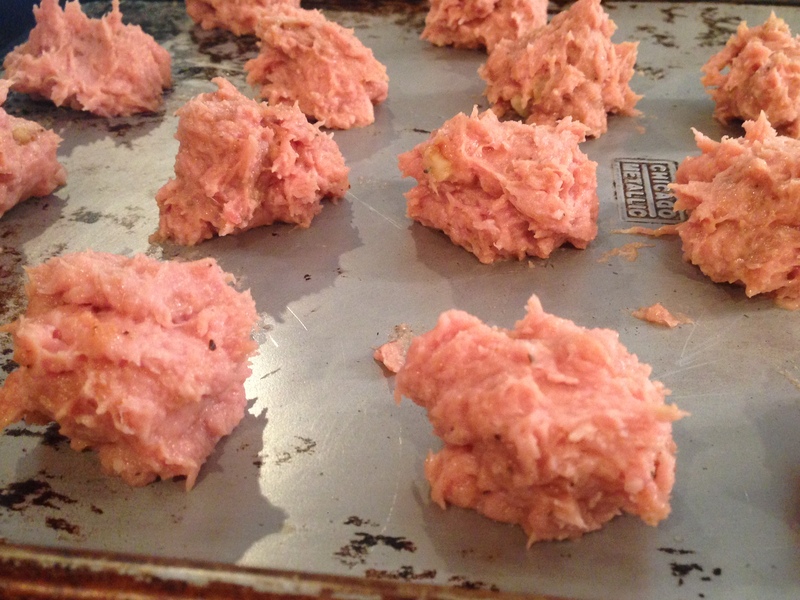 I was looking forward to making the Japanese Meatballs because they looked much easier and less messy to make. Plus we like meatballs. With some help from my blog readers, I decided that I am allowed to make substitutions to recipes as I see fit. My good friend Becky pointed out that I was actually doing my readers a service by suggesting substitutions and tweaks that other busy people might also appreciate. 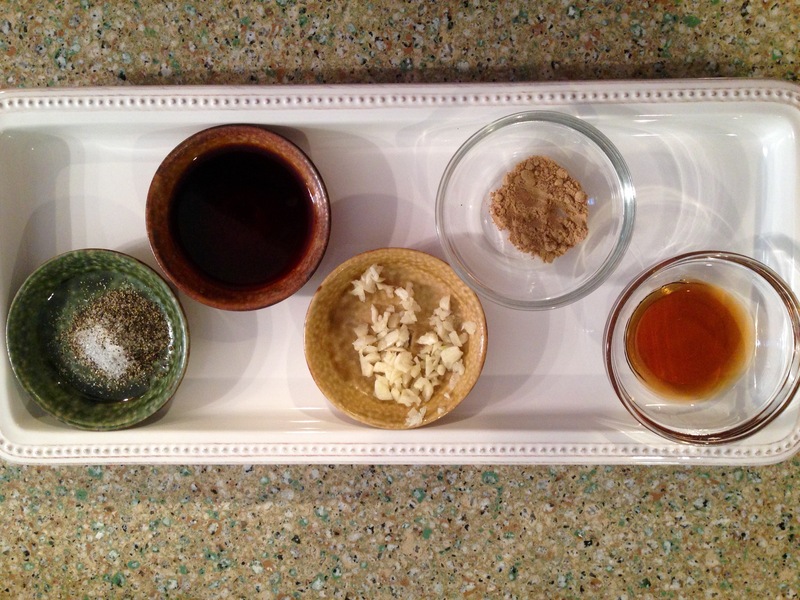 Take, for instance, the Chinese Five Spice Powder called for in the dipping sauce. I really dislike the taste of this particular spice blend. My sister in law told me that she hadn’t ever heard of it and could I please recommend something different. I’m thinking that a lot of other people probably don’t have it on hand. So, I made the Hoisin Sauce without the spice powder thinking that I could taste it and add something back if I thought it needed it. Turns out the Hoisin Sauce tasted phenomenal without it. So, there you go. Another substitution came in the form of using turkey rather than chicken, because the grocer was out of ground chicken. Look at these beautiful spices and ingredients. Mix all ingredients in a bowl with your hands and form into small balls. Bake at 400 degrees for about 20 minutes but keep an eye on them. Heat oil in small saucepan over medium heat, add garlic and cook about 30 seconds. Add the rest of the ingredients and whisk to combine. Bring to a simmer and cook, whisking constantly for a couple of minutes. Let cool and serve. A couple of notes about the meatballs: there are no bread crumbs in there. Gwyneth is gluten-free (of course she is. I mean, obviously) So when you are shaping them they have a very soft, sticky, almost doughy consistency. See? Not to worry, they bake up very nicely. The recipe states you can bake, pan fry, grill or however-you-want these meatballs but gave no directions for any cooking, so I looked it up and decided I’d bake mine at 400 degrees for about 20 minutes. Check every few minutes to make sure they aren’t being overcooked. 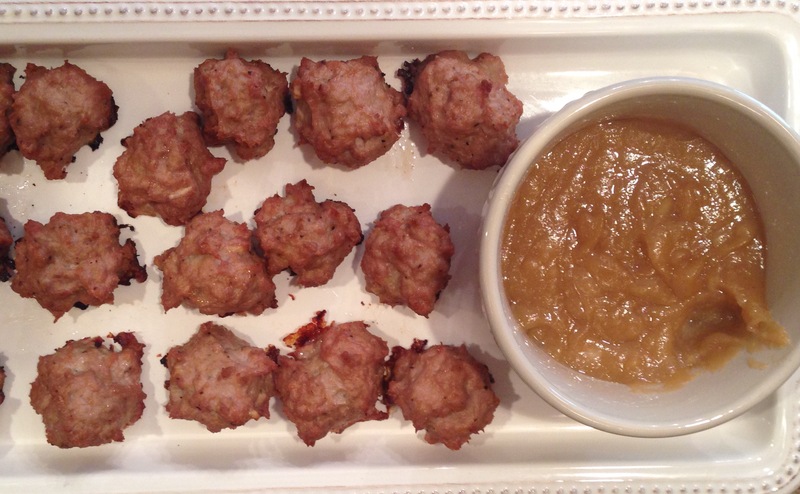 The result was that my family really enjoyed them, the sauce was my favorite part (visually, it isn’t beautiful — My daughter and I thought it looked like apple sauce, and my husband assumed it was a peanut sauce). I would definitely make these again and double or triple the recipe for freezing. Stay tuned for the next recipe! Looks great! What did you serve for sides? I made a quick pasta and green beans from the farmers market. I will try these in the future! Yum! I will try these. I like that you can freeze them. Our evenings are so hectic that these will be great because I can prep in advance and have Trey put in the oven. I would make a double batch so you can have extras in the freezer! I hope you all like them. They look awesome. I don’t like five spice either! They look awesome. Not a fan of five spice, either. Sorry it duplicated. I guess I will make a duplicate batch, now.